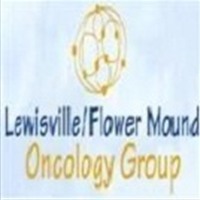 Lewisville, TX, May 18, 2018 – Due to the nature of the disease, cancer treatment comes in several forms or stages based on the results of the previous treatment method. More often than not, a patient will require all of the available forms of treatment to eliminate the cancer. It may take a toll on the patient in several ways including physically, emotionally and financially and that is why receiving the treatment at a good cancer center will help relieve the strain. • Primary treatment – This is the first line of treatment used on a cancer site. It usually comes in the form of surgery to remove the tumor. Depending on the stage and aggressiveness of the cancer, doctors may go ahead and suggest follow-up treatment known as adjuvant therapy.It can be classified into two types namely local and systemic cancer therapy. This therapy usually begins three to six weeks after primary treatment. • Local adjuvant cancer therapy – This is treatment directed at the exact site where the tumor was removed. It is carried out using targeted radiation to ensure all cancer cells in the area are gone. • Systemic cancer therapy – This form of treatment is directed at the whole body and can come in the form of hormone therapy, chemotherapy, biological therapy, or different combinations of these. It eliminates all cancer cells that the primary treatment may have missed but it can also damage healthy cells in the process.